Monkey Tower playset includes a 25 sq. 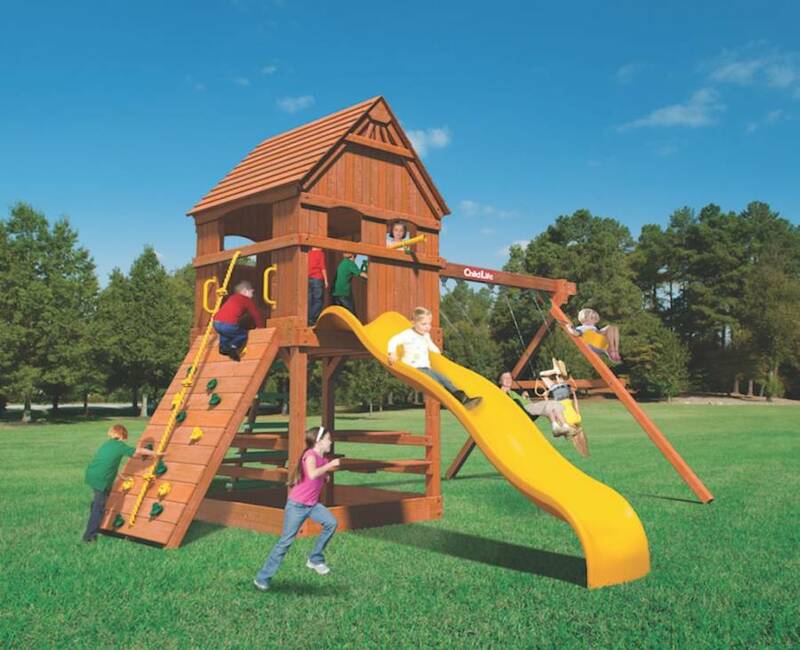 ft. fort, wood roof, enclosed loft, picnic table, rock wall, ladder, 10′ slide, three-position swing beam, and accessories. 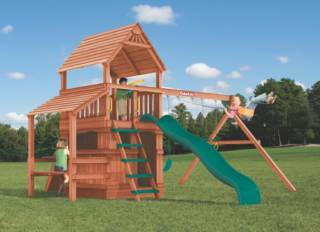 The Woodplay Playsets Monkey Tower is available in ONLY Cedar Lumber. 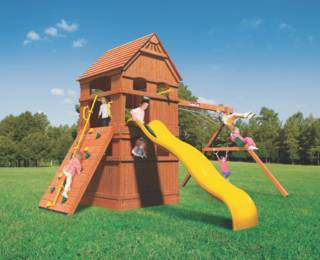 The Woodplay Playsets Monkey Tower (MT.C) includes a 15-Year (Lumber Only) and a 5-Year limited warranty.